Owner, Expressing You! Pte Ltd, Singapore. A. I began my professional singing career at the age of four. By the time I was seven in 1969, I was winning talent contests and awards. In my early years, all I wanted to do was to become a professional singer, dancer and actress. I achieved that goal by practicing endless hours and dedicating myself to becoming the best I could be. I grew up in a small town in Marietta Pennsylvania and felt my talent was my ticket to fame and fortune and out of rural America. I was educated at Carnegie Mellon University and Boston Conservatory of Music with triple majors in drama, dance and voice. I managed to make my living as a professional entertainer around the world in 48 countries, and before I was 28 years old I was sharing the stage with legendary entertainers like Sammy Davis, Jr., Whitney Houston, Michael Jackson, Milton Berle, Herbie Hancock and many more international celebrities in show business. On the outside I looked happy and successful having had the good fortune of performing for millions of people on radio, TV, Broadway and international concert stages, but on the inside I felt like a restless failure and never, ever good enough. A. In 1991, when I was 29, a dear friend and brilliant composer named Lanny Meyers referred me to Arthur as a vocal coach. I started studying with Arthur and adapted quickly and intuitively to the Vocal Awareness method, as it was very similar to what I was doing naturally in my long performance career. 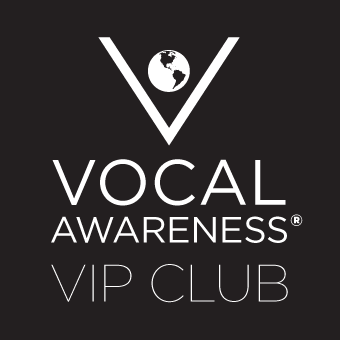 Arthur was able to articulate and organize a system for Vocal Awareness, which helped me to solidify my pursuit of vocal excellence. His method gave me much more understanding of my own vocal instrument. At one of my lessons early on I was depressed and dramatically cried through frustrated tears to Arthur, “I don’t know why I’m not famous!” Arthur looked at me gently with deeply caring eyes and lovingly said to me, “You’ve had many opportunities to become famous. I don’t think you want to be famous. I think you are meant to teach.” I don’t remember exactly what Arthur said next but it was something like, “If you want to learn to teach I would be happy to teach you what I know.” At that defining moment in my life, my ego mind could not yet embrace the shift from being in the limelight on stage aspiring to be an international superstar myself to supporting other people to become superstars in their own lives. Of course Arthur was absolutely right about me. My life purpose is definitely to teach people how to use music and voice as a tool for their own transformation, happiness and success. Arthur recognized my innate ability early on in our work together. I had the good fortune of working with him and learning to teach at his side. As his assistant, I typed the draft of his very first book, Sound of the Soul, into my computer before he submitted it to editors. Because of my performance background at a world-class level, I incorporated many of the things that I had been doing as a singer, dancer and actress into my own teaching. Arthur helped me to become an extraordinary voice teacher. To this day, even though we are on opposite sides of the world, he still is extremely generous in sharing his wisdom, love and artistry with me. I do not teach 100% Vocal Awareness. However, Arthur’s work is undeniably at the foundation of my own voice work and I will be forever indebted to him for the contribution he continues to make to my personal and professional development as a teacher, mentor and friend. Since that fateful day in 1991 in Arthur’s studio in Encino, California, I have dedicated my life to teaching hundreds of thousands of personal and professional clients in 66 countries to speak, sing and communicate with confidence, power and authenticity. I left Los Angeles at the end of 1995 and relocated to Asia and have been widely recognized as the best voice trainer in the Asia Pacific region. Since 2003, I have been honored to work with Success Resources, the largest seminar organizers in the world, as a speaker and trainer and often share their inspirational platforms with experts in personal development like Anthony Robbins, Robert Kiyosaki, Blair Singer and T. Harv Eker as well as world leaders like former British Prime Minister, Tony Blair. My international client list includes The Walt E. Disney Co., Time Warner, Dell, American International Assurance (AIA) and Standard Chartered Bank to name just a few. A. I could go on and on about the exciting successes that I have enjoyed in my personal and professional life as a result of Arthur helping me to cultivate the seed for my own greatness. Through his loving support and guidance I have already touched the lives of hundreds of thousands of people who in turn will touch the lives of millions more. Arthur extended both hands to me on the path to Vocal Awareness at a critical time in my life. Working with Arthur changed the course of my destiny and helped me to discover my greatest gifts and talents. Led by his extraordinary example, my life is also devoted to helping others find and express their voices powerfully in the world around them. Assisting others to transform themselves using voice, music and communication as powerful tools for their own success and happiness brings me unlimited joy, energy and satisfaction as well as tangible abundance in every area of my life. When I met Arthur in 1991, I was a wounded, self-obsessed artist in a pool of rich and famous wannabe’s living a toxic lifestyle swimming upstream in the City of Dreams. My self-esteem was based on others’ superficial opinions of me in an industry where I was only as good as my last performance. I felt empty and alone even when surrounded by people. Today, I have a beautiful family. I have a successful, happy, fulfilling life beyond my wildest dreams and I am blessed to play a much bigger game being in contribution and service to others. There are not enough words to express my gratitude and love for Arthur as a teacher, mentor and friend and for helping me become who I was always meant to be.